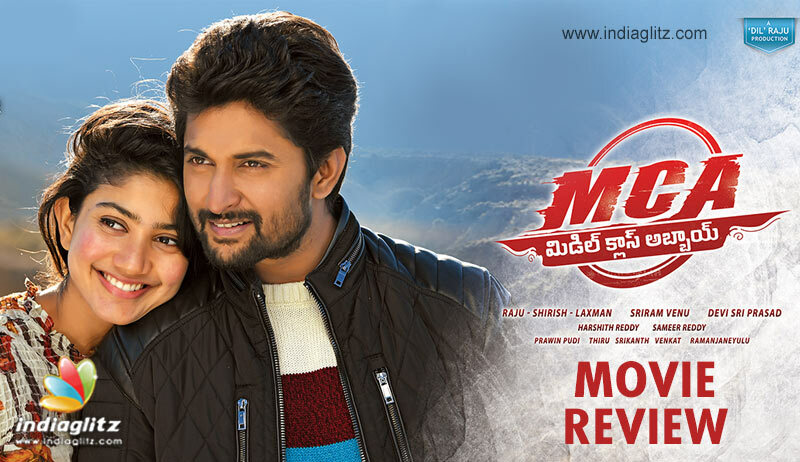 'MCA', starring Nani, Sai Pallavi, Bhumika Chawla and Vijay Varma in key roles, hits the screens this Thursday. Here is our review. Nani (Nani) is a happy-go-lucky middle-class guy with extraordinary attention, retention and concentration skills. His talents he never uses, all while boasting about the mindset called "middle-class". On the request of his Delhi-bound brother (Rajeev Kanakala), Nani agrees to live in Warangal with his Vadina (Bhumika as RTO officer Jyothi). While he falls in love with Pallavi (Sai Pallavi), the sincere government officer develops rivalry with Shivanna (Vijay Varma), a dreaded businessman. This is also when Nani, who has all along seen his Vadina as the villain who snatched his brother from him, comes to know how much he means to her. No prizes for guessing that he takes it upon himself to keep Shivanna from going after his Vadina. The second half is about how the hero uses his mind power and guts to keep the villain from harming Bhumika. Despite a cliched set-up, the film delivers laughs and tries to defy a few conventions in the first half. Nani being forced into obeying his no-nonsense, focused Vadina is interesting. Sai Pallavi going all out in wooing the hero and asking him about when they can marry is an example of role reversal. Together with Priyadarshi and gang, the Natural elicits a few laughs in the first half with his okayish comic timing. There may not be much of Vennela Kishore, but the 2-3 scenes he is in work. Had the makers told us the profession of Bhumika and what Vijay Varma does, there would have been no reason to hope for anything beyond a formulaic trajectory in the second half. 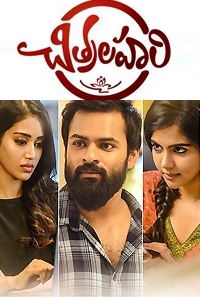 Right from the time Subhalekha Sudhakar, that old man from the '80s era movies waging a lonely battle against a shark with the proofs he has collected is introduced, the film starts smelling of dated elements. Director Venu Sriram tries his best in projecting the villain as a merciless thug with his own idiosyncrasies. Every time he is confronted with an opponent, Shiva wonders if he can shoot himself were it to bear any fruits. This quirk becomes a game-changer in the climax. However, the very characterization is not enough to evoke fear, disgust or anything else for that matter. This old-type antagonist who has threatened the Telugu film hero and his family a countless number of times film after action film is too jaded to be taken seriously. 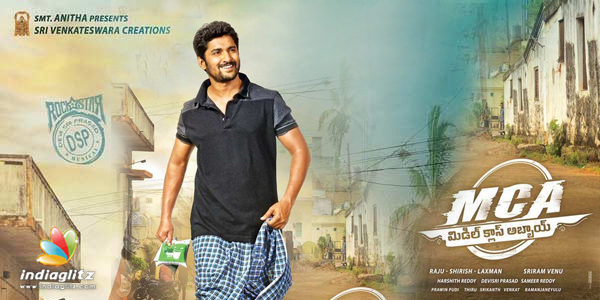 Nani is made to say more than what is needed in the cylinder scene that comes post-interval. "My Anna and Vadina have given me everything; I am ready to pay back to them today - by sacrificing my life," he tells the baddies who have come home to eliminate Bhumika. This heavy-duty line was hardly needed in the situation. Scenes later, the same hero, who alone knows what kind of an existential threat his Vadina faces, keeps an incredibly light-touch expression in the railway station scene at a time when he has to send Bhumika to Delhi to save her from the villains. This is when Rajeev Kanakala appears unannounced in Warangal, spoiling his plan of packing off Bhumika to a faraway place. 'Em timing ra needi', Nani tell his brother. If you didn't know the story, you would think that he wants Bhumika to go out of station so that he can have a beer party with friends at home. The expression on the hero's face is that inappropriate. Shivanna, we are told, can send shivers down the spine of Warangal. But then, he is clueless at the first opportunity when it comes to concocting conspiracies to defeat the hero, whose only resources are his mind and friends (none of whom seem to have any sense of urgency, anyway). As for performances, Nani is fine overall, although there are clear inconsistencies. 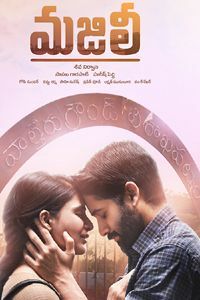 His chemistry with Sai Pallavi is neat. The actress may not have you go 'fidaa' over her; suffice it to say that she brings with her a scent of cheerfulness to her character. Bhumika as the woman of few words and Vadina of many rules performs well. This is a good comeback film for her. Vijay Varma's hackneyed villainy comes unstuck and so does he. Priyardarshi, Vennela Kishore, Rajeev Kanakala, Naresh, Posani, Amala and others are so-so. Devi Sri Prasad springs a surprise with a sub-par background music; it's seriously ordinary. The songs pass muster; choreography-wise, 'Yevandoi Nani Garu' is superb. 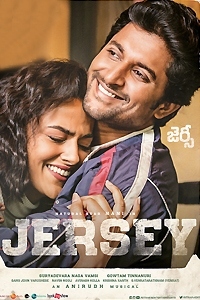 Sameer Reddy's cinematography is efficient. A known story with a lot of cliches, 'MCA' takes several leaps of faith regularly in the second half. Average performances, the Vadina-Maridi equations and the rom-com track in the first half work to an extent.